I developed two programs for repairing and editing the topology of 3D models. The executables are released under the MIT license. In general, you can use them for any purpose, including commercial applications, with proper attribution. I have put a lot of effort in making sure these programs (in particular TopoMender) are useful in many different settings. I am happy to know about various applications. Feel free to send me an email and tell me about your work. 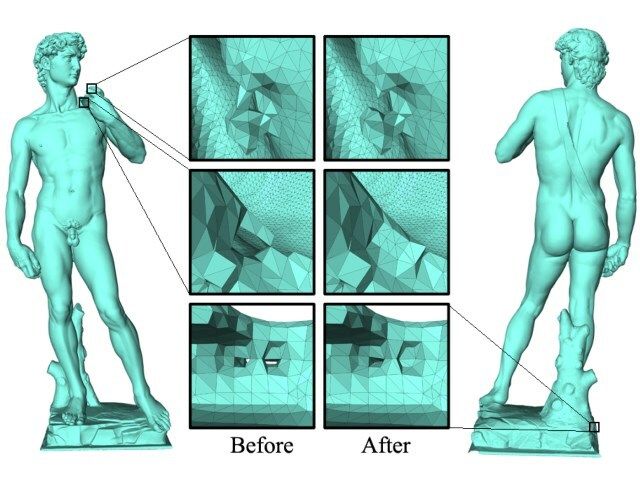 TopoMender is a software developed for topology repair of 3D models. It is based on my TVCG 2007 paper "Topology Repair of Solid Models Using Skeletons". The program reads a volume data file (stored in SOG format, which could be generated from PolyMender), break or fill the handles under a given size, and then generate a polygonal mesh stored in PLY format. You need a Windows 64bit system (or Wine on Linux environment) to run the program. See README in the executable package for details. The latest version of TopoMender is 1.04 (change log). MendIT is an extension of TopoMender. It has the ability to edit the topology of mesh models. It is based on my SIGGRAPH 2007 paper "Editing The Topology of 3D Models by Sketching". Briefly speaking, the software contains two major functions: a sketching system and a back-end algorithm. 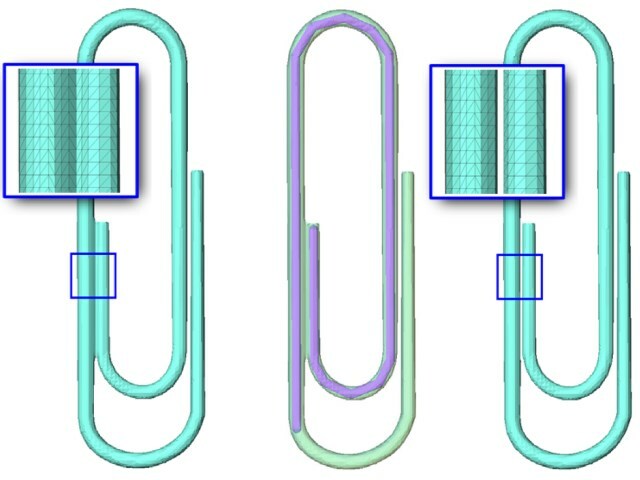 The sketching system let the user draw the desired topology of the model and the back-end algorithm automatically turn the model into the desired topology while preserving most geometry. You will need a Windows system and a NVidia graphics card to run the program. See README in the executable package for details. The latest version of MendIT is 1.0.